Congratulations, your discount code has been successfully applied! No need to do anything else, except add local food items to your shopping cart. 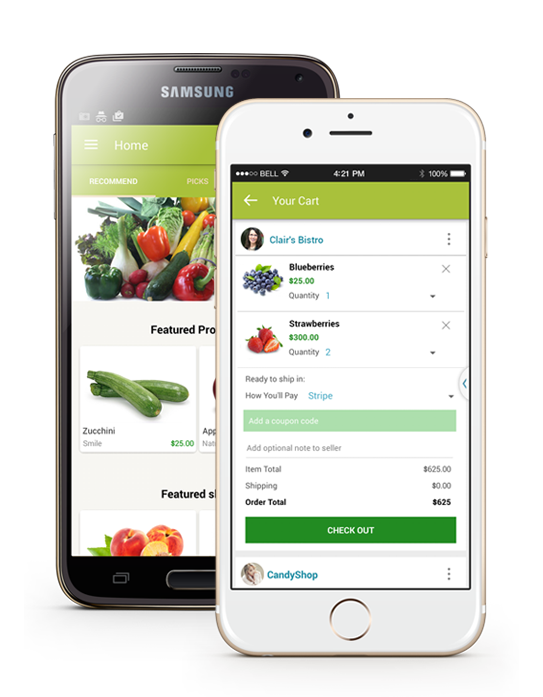 Use our web or mobile app to browse and buy fresh, local food directly from suppliers. The supplier receives prepares your purchase for pick-up or delivery. 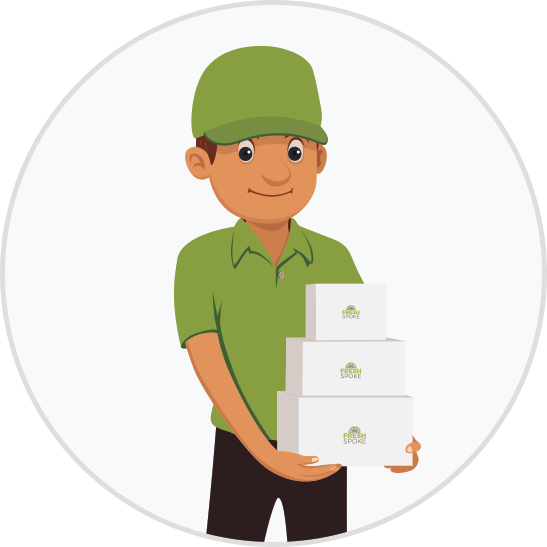 FreshSpoke delivers to your door using excess capacity in the commercial delivery system. 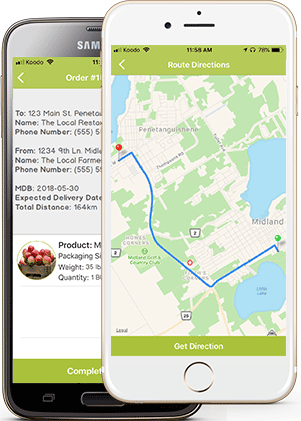 So FreshSpoke tapped into the excess capacity in the delivery system giving commercial drivers, along with our buyers and suppliers the ability to earn extra income delivering local food. Against the Grain is cultivating and harvesting grains from around the world and planting a mix of local pure unmodified seeds. They've meticulously worked to establish and bring back a wide selection of heritage and new grains that can be grown locally - in our soil, in our climate. By harnessing the power of these grains, they offer fresh wholesome food choices that are proven contributors to good health and well being. Bruno & Luella Kuska started NOPOCO over thirty years ago by growing about a half acre of potatoes to sell at the local market. At the time, all of their potatoes were dug, washed, and sorted by hand. Bruno and Luella's daughter Diane, and her husband Gerdon, have joined the growing family business to manage day to day operations. Their potatoes are grown for flavour over yield, and are still hand sorted to ensure only the best potatoes reach your kitchen. Kolapore Gardens is a small, 2 acre, farm producing top quality vegetables, herbs, flowers, shoots and microgreens. All crops are grown organically without the use of pesticides, synthetic fertilizers, etc. Owned and operated by Mike Reid, the gardens are located in the Blue Mountains, near Thornbury and Collingwood. Murray Good - Whitecrest Mushrooms Ltd.
At Whitecrest Mushrooms, year-round production of Portobello and Crimini mushrooms takes place in a controlled environment using state of the art controls and quality assurance practises. The team of growers and pickers at Whitecrest goes beyond industry standards to provide their customers with quality, gourmet mushrooms. After 30 years of growing organically, Cookstown Greens has gained a reputation for consistency, quality and flavour. They grow a large variety of seasonal certified organic vegetables with the ability to supply year-round, with 5 heated greenhouses on site. Their standards are high to make sure their customers get the best quality product in every delivery. The folks at Bulbs of Fire believe in real food. They believe that food nurtures both the body and the soul and they put in the time to grow and create healthy, tasty and fresh product for their community. Every bulb of garlic is grown on their small family farm using a natural, organic approach. VG Meats is a local, family-owned company that has proudly been serving Ontario families high quality meat since the 1970s. Run by 4 brothers, all their products are born, raised, fed, processed and packaged in Ontario. They specialize in small herd, high care beef that is never fed antibiotics, fully traceable and is the first tenderness tested beef in Canada. In addition to beef, they also supply local chicken, pork and turkey. Jo Slegers built his first greenhouse and started growing Boston lettuce in 1987. They have evolved over the past 30 years in many ways: from changes in growing techniques to diversity in products. Their greens are packaged living in soil; all you need to do is snip and serve them. By being packaged this way their greens taste better, are better for you and last longer. Pasta Tavola is an artisanal food manufacturer with an extensive range of all-natural specialty Pasta, sauces and oven ready meals. These products are thoughtfully crafted with premium local ingredients, like 100% Ontario Wheat Flour, award-winning cheeses and Ontario grown vegetables. There are 1500+ fresh, frozen and prepared products ready for purchase in the marketplace from a wide range of producers. 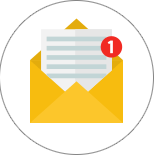 Our handy filters like pick-up/delivery requirements, certifications and preferred distance matches products to your needs and saves you plenty of time. 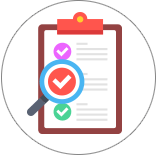 Wholesale buyers looking for a customized product or the peace of mind that comes with a secured supply contract, can tender an order and receive quotes from FreshSpoke sellers. Award the contract to the producer that best fits your requirements and budget. Mill Market offers a wide range of delightful things to eat from local companies, who share a passion for reals foods, local flavours and high quality products. 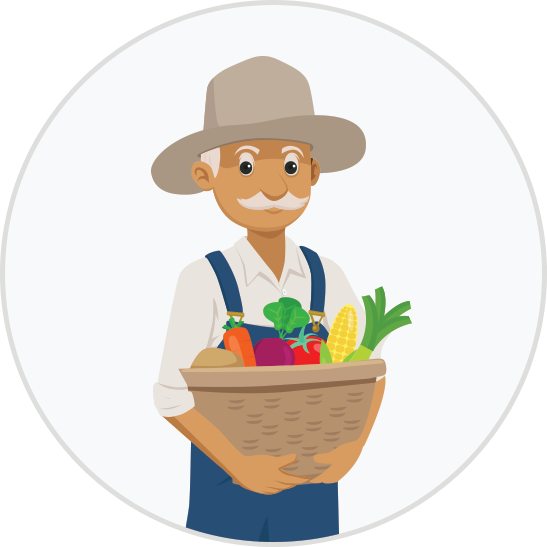 When you procure through FreshSpoke, your business is featured on the Local Food Champion app for free, attracting a highly engaged cohort of consumers with incredible buying power and a preference for quality food produced closer to home. 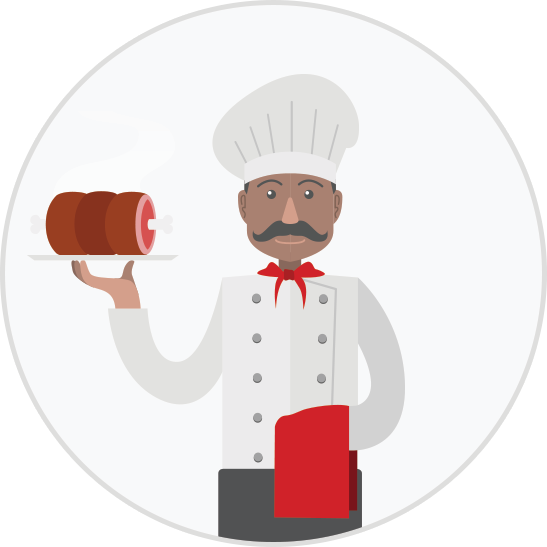 Local Food Champion is a powerful tool to build strong and trusted connections with your customers and exclusive to FreshSpoke buyers.  Tap into our marketplace to browse, buy and arrange delivery - all from the palm of your hand. FreshSpoke is an economic revolution in food that connects buyers directly with local food producers making it possible to get what we need locally, so revenue flows directly into the wallets of local food producers where it belongs. FreshSpoke's mobile app makes it easy!